Originally from Mankato, Minnesota, Tom Ray began his restaurant career at 16, bussing tables and working the prime rib carving station at a local country club. He came to Madison in 2005 to attend the University of Wisconsin and landed a summer job serving local beers at Madison's iconic lakeside hangout: the Memorial Union Terrace. The experience helped him get a bartending gig at Food Fight's Fresco, and he was promoted to bar manager within the year. Tom's passion for the restaurant business grew with his responsibilities, and, after graduating from the UW business school in 2010 with degrees in Finance, Investment Banking and Real Estate, he remained in Madison, turning down a commercial real estate job in Chicago to continue working for Food Fight and pursue his dream of opening a restaurant. 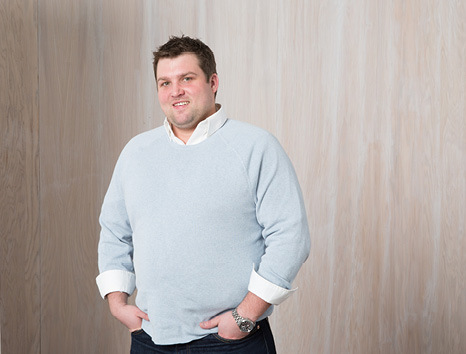 Tom's dream was actualized with the upscale burger joint he opened as co-owner in 2012: DLUX. The DLUX concept was actualized during a time of unprecedented growth for Food Fight that would transform the downtown restaurant scene, and the dynamic nature of his chosen industry is a large part of what keeps Tom engaged and inspired. "This business never sleeps-literally there are people at the restaurant almost 24 hours a day. I love the daily challenges of my job: from deciding on new menu items, to staying ahead of the curve with fresh, fun ideas. I get to work with an amazing team everyday, from the staff at the restaurants to the other managing partners, there is always someone to learn something from."